On 3 November the High Court issued its long awaited judgement in R (Miller) v Secretary of State for Exiting the European Union which ruled that the Government does not have power under the Crown’s prerogative to trigger Article 50 TEU. One point that the judgment did not deal with was whether the notification under Article 50(2) TEU is revocable or not. Both parties in the proceedings structured their legal arguments around the assumption that the Article 50 notification is irrevocable. Since the authoritative interpretation of provisions of primary EU Law falls under the jurisdiction of the European Court of Justice (ECJ) under Article 267 of the Treaty on the Functioning of the European Union (TFEU) the question arises as to whether the Supreme Court should refer a relevant question to the ECJ. The present piece argues that a reference from the Supreme Court to the ECJ seeking clarification on whether the notification of Article 50 TEU (2) is revocable is neither legally necessary nor politically expedient. I will proceed by explaining briefly the legal (part A) and political dimensions (Part B) of the matter. First, I believe that a clarification concerning the revocability of the Article 50 notification is not necessary for the Supreme Court to give judgement. To begin with even if the ECJ rules that the notification is revocable this would simply weaken the argument of the applicants but it would not defeat it completely. This is because the possibility of revocation does not affect the main idea of the argument, namely that once the process is triggered and without any agreement with the European Union, rights established or recognised by statute would be affected or nullified after the lapse of the two year period (unless an extension can be agreed by all the negotiating parties as per Article 50(3) TEU). Put differently, even if the notification is revocable, this does not mean that the Government would use it. Moreover, logically, the decision to revoke the notification or not to revoke it (inaction) would fall under the realm of the prerogative. Therefore although the automaticity argument that was put forward by the applicant (and also presented in the excellent piece by Nick Barber, Tom Hickman and Jeff King) would be weakened, the general premise that the exercise of the prerogative in this case (manifested as action in the triggering of Article 50 and as inaction by not revoking the relevant notification) can lead to a situation where statutory rights are at risk of being altered or nullified without Parliamentary approval. In other words, the automaticity would not be so obvious but the risk from the exercise of prerogative powers would remain. This means that a clarification of the ECJ that notification is revocable would not compel the Supreme Court to reverse the High Court’s judgement. Second, I think that the Supreme Court could overturn the High Court judgement on the basis of other considerations. As I argued elsewhere the exercise of the prerogative in the present case is anything but arbitrary. Furthermore I believe that a contextual interpretation of s. 2.1 ECA 1972 and in particular the part that refers to “[…] restrictions from time to time created or arising by or under the Treaties” which are to be given legal effect without any further enactment could be interpreted as acknowledging the existence of an appropriate and adequate space which facilitates the use of prerogative powers to trigger Article 50 even if this essentially starts a process that leads to restrictions –in this case the possibility of ending of the application of the Treaties on the UK-that arise by the Treaty (in this case Article 50(2) and (3). Such a contextual interpretation of section 2(1) complies with the purpose of this provision within the ECA architecture: to function as the legal vehicle that connects the two legal orders by introducing a degree of “automaticity” for some (directly applicable rights, obligations and restrictions) but not all elements. Without entering into a more exhaustive analysis of the legality of the use of the prerogative in this case, it suffices for the purposes of this piece to note that this essentially means that the interpretation of Article 50 regarding the revocability of the notification of Article 50 is not necessary for the Supreme Court to give a judgment. Therefore the Supreme Court does not have to comply with the obligation of Article 267(3) TFEU. Third, if the Supreme Court decides not to refer a preliminary reference to the ECJ there is an insignificant risk that the European Commission would bring a case against the UK for an alleged violation of EU law (non-compliance of the Supreme Court with its Article 267(3) obligation as suggested by Richard Lang). It is not only the very sombre reaction of the Commission to the Miller judgement that supports this but also the fact that the Commission has no incentive to bring such a challenge either legally or politically. A possible clarification by the ECJ that the Article 50 notification is unilaterally revocable would strengthen the negotiating position of the UK before the start of the negotiations. I will analyse this point in the discussion of the political dimension in Part B. Furthermore such a challenge would strengthen politically those forces in the UK that favour Brexit. In other words such a course of action would not bring any gains to the EU Commission and could be politically costly. Fourth, a similarly remote chance is a successful challenge by means of a state liability claim following the Kӧbler jurisprudence (as identified by Peers) for erroneous application of EU law by a national court of last chance (in this case the Supreme Court) as a result of non-compliance with its obligation to refer under Article 267(3) TFEU. Such a challenge is remote for two reasons. To begin with the individuals who seek damages must show that they have suffered a loss and that there is a direct and causal link between the breach of EU law (in this case decision of the Supreme Court not to refer) and that loss (as per Brasserie du Pêcheur and Factortame). For the reasons that I explained above (namely that the clarification by the ECJ is not necessary for the Supreme Court to adjudicate) it would be extremely hard to prove a causal link in this case. Moreover even if such a direct and causal link is established it should be remembered that the Kӧbler jurisprudence sets a very high threshold for finding whether the erroneous application of EU law by a domestic court of last instance is sufficiently serious (the second condition for state liability). The fact that the issue here arises in a case that deals with the interpretation of key aspects of the national Constitutional order and the fact that there seems to be a plausible case that reference to the ECJ is not necessary in order for the Supreme Court to give judgment, would be enough to show that the high standards of manifest and discernible infringement have not been met. From the point of view of political expediency a reference by the Supreme Court to the ECJ at this point would be undesirable for a number or reasons. There are strong arguments supporting both the case for revocability of the Article 50 notification (see for example Charles Streeten, Derrick Wyatt, Paul Craig and Aurel Sari) and the case of irrevocability (see for example Jake Rylatt). I believe that the issue of ‘revocability’ is a significant matter that may become the Ariadne’s thread for solving the ‘Brexit’ challenge for the UK and the EU if it is deployed at the right time during the withdrawal process. I argue that the appeal before the Supreme Court is not the right time because it may risk a negative interpretation by the ECJ; in other words an interpretation of the Article 50 notification as being unilaterally irrevocable (the lex specialis argument of Article 50 TEU that would displace an interpretation in accordance with Article 68 of the Vienna Convention of the Law of the Treaties (VCLT) presented by Jake Rylatt – if we assume that Article 68 VCLT would be the applicable lex generalis in this case, which is far from certain) is more likely if the ECJ is presented with the question before the formal triggering of Article 50 by the UK. Such a development would deprive the UK of a tool that could facilitate an orderly soft Brexit or even the reversal of Brexit altogether. Instead I believe that an interpretation by the ECJ that the Article 50 notification is unilaterally revocable would be more likely if the Court is presented with this question after the formal start of the withdrawal process. Why do I believe that timing can play such a decisive role? In order to better explain my proposition I will put forward two scenarios and try to identify the incentives that are created for the various stakeholders. By doing so I will show why the ECJ is more likely to rule that the Article 50 notification is unilaterally revocable if it is presented with the question after the formal triggering of the withdrawal process. The referendum result cannot be politically ignored even if Parliament participates in the process of triggering Article 50 (i.e. even if Miller is not overturned by the Supreme Court). The only possible way to reverse the process of Brexit is either through another referendum or through elections that have the adjustment or reversal of Brexit as one of the main if not the main manifesto commitment of specific parties. The issue of reversal will be warranted if significant economic and political reasons make it patently obvious that the course of Brexit would be against the interests of the people of the UK. Markets react negatively to the prospect of Brexit in general and are likely to react more violently in the event of a disorderly (hard) Brexit (see for example the immediate market reaction to the High Court’s judgment). 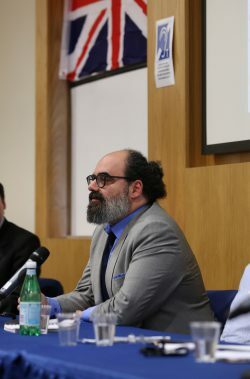 The European Court of Justice has demonstrated on a number of occasions that it possesses delicate political sensors and that its interpretation of EU Law is not carried out in abstracto but it takes into consideration the context (political, economic and social) in which its judgment would be implemented. As mentioned briefly in Part A, if the ECJ rules in favour of the notification’s unilateral revocability before the triggering of Article 50 it would strengthen significantly the negotiating position of the UK Government. As a result of such ruling the triggering of Article 50 would seem less risky for the UK (precisely because it could be revoked unilaterally if necessary) and for this reason the decision to formally begin with the process of formal withdrawal will become more likely. Furthermore this would embolden the UK Government to pursue a harder negotiating strategy since such a position would not be as costly anymore. I would use a metaphor to elucidate the situation: An acrobat who is about to cross a high wire, without having previously rehearsed the routine and who doesn’t know whether there is a safety net that would stop her/his fall is more likely to think twice before s/he decides to go ahead with the routine and if s/he does go ahead it is more likely to do so very carefully. On the other hand if the acrobat knows that there is a safety net it is more likely that s/he will decide to proceed and do so in a more adventurous fashion. Furthermore an ECJ ruling in favour of unilateral revocability would create a situation that could be characterised as integration moral hazard. This is because Article 50, a provision that was devised never to be used by placing the withdrawing party at a disadvantageous negotiating position and if ever used to dissuade emulation by others, would suddenly become an instrument that could be used lightly as a political bargaining tool by other Member States in the future (“threat to leave” politics) jeopardising the integration dynamics of the EU edifice. In addition although such a ruling would most likely lead to a positive response by the markets –because the markets would see unilateral revocability as a possible safety net from hard Brexit- there is the danger that this positive reaction might be misinterpreted by an emboldened UK Government as a signal that markets are beginning to accept the idea of Brexit thus rendering a disorderly Brexit more likely. For these reasons I believe that the ECJ would rule against the unilateral revocability of the notification by interpreting Article 50 as a lex specialis within the architecture of the distinct EU constitutional legal order (a solution following the logic of cases like Van Gen den Loos and Kadi). The problem in this case is that the UK (Government and Parliament) cannot ignore politically and, in my view, constitutionally the result of the referendum. In other words to refer back to the acrobat metaphor, the show must go on. Thus it becomes clear that the result of an untimely preliminary reference to the ECJ would be that a useful tool which could avert a disorderly hard Brexit would not be available anymore. This could be avoided if the ECJ does not have to rule on the matter before the formal start of the withdrawal. In this scenario, to turn again to the metaphor, the acrobat (UK) who begins the performance without knowing whether there is a safety net (unilateral revocability) is bound to tread carefully. In such a scenario the markets’ reaction is expected to be negative, making the costs of disorderly Brexit all too obvious. This new situation may warrant the reconsideration of Brexit in a fundamental fashion either through general elections or via a second referendum. This process may be facilitated if the UK could unilaterally revoke its earlier notification. If the issue of revocation came before the ECJ at this point either as a preliminary reference (Article 267 TFEU) or via infringement proceedings brought by the Commission (Article 258 TFEU) or by another Member State (Article 259 TFEU) against the UK or via judicial review (Articles 263 and 265 TFEU), the ECJ would probably reach the opposite conclusion. This is because in this context allowing the unilateral revocation would facilitate the resolution of the Brexit jigsaw (in fact it may be argued that the revocation might not even prompt any negative reaction by the other negotiating parties). The issue of moral hazard from such a decision would remain but it would be less forceful; the ordeal of the withdrawing Member State now seeking to undo the process would be in itself a lesson to other Member States. Moreover the ECJ has shown in the past that it is ready to prioritise political expediency over acceptance of a contained moral hazard (see for example the case of Pringle where the ECJ squared the circle of the Economic and Monetary Union in order to avert the collapse of the Eurozone). In this post I have argued that a reference from the Supreme Court to the ECJ regarding the revocability of the Article 50 notification is not legally necessary and perhaps more importantly is not politically expedient. Furthermore it explained why the timing of the ECJ’s engagement with the issue regarding the interpretation of Article 50 may have an appreciable impact on the direction of the Court’s judgement. Accordingly a premature preliminary reference may lead the ECJ to rule in favour of irrevocability in order to prevent the creation of perverse incentives that would strengthen the centrifugal forces that undermine the Union. This would be unfortunate because the unilateral revocability of the Article 50 notification may be a valuable tool that could avert disorderly Brexit and more importantly facilitate the adjustment or even reversal of Brexit by creating the necessary political space that would allow the demos free from misrepresentations, half-truths and false promises to make an informed decision. Such an unwelcome development can be avoided if the Supreme Court does not refer the matter to the ECJ. The author would like to thank Professor Stephen Tierney and Dr Vassilis Tzevelekos for their useful feedback. The usual disclaimer applies. A subtle, insightful and very clear blog. Opened up lines of thinking that had never occurred to me. Sorry, just praise and nothing to add. This entry was posted on November 17, 2016 by Constitutional Law Group in Europe, European Union, Judicial review, UK government, UK Parliament and tagged Article 50 - revocability, Article 50 TEU, Brexit, Brexit judgment, CJEU, Court of Justice of the European Union, European Communities Act 1972, Miller v Secretary of State for Exiting the European Union, Vienna Convention of the Law of the Treaties.